This was my first exposure to Whitestone wines, I was completely unaware of the brand until I met them at Taste Washington. Their label is one to remember and find. If your local wine shop or grocer does not have Whitestone Wines, ask them to bring them in for you. These are approachable wines, showcasing the beauty of the fruit, balanced and not heavy. 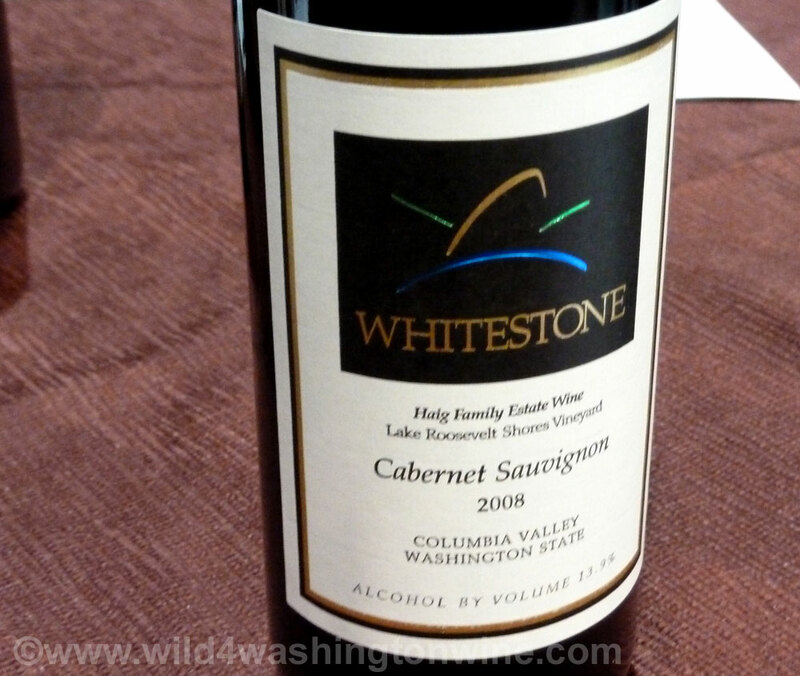 Whitestone Vineyards was founded by Walter and Judy Haig in 1992. 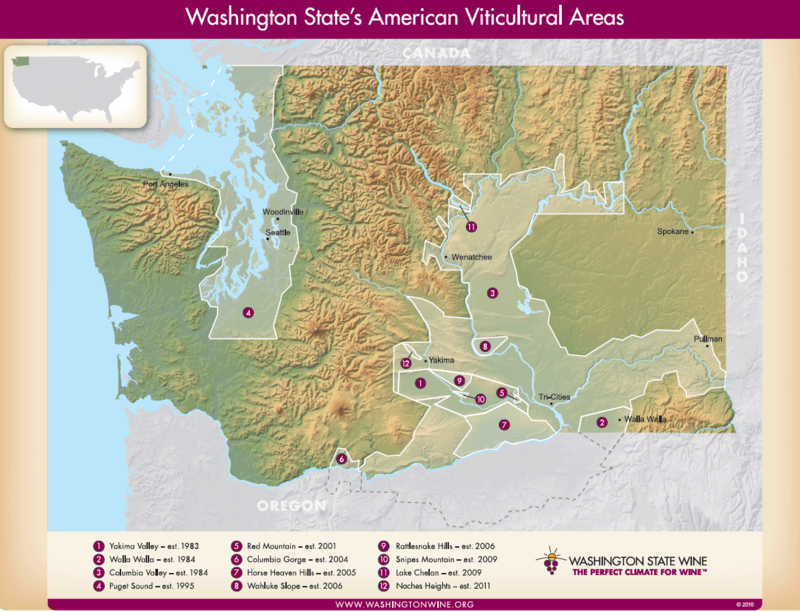 With the help of Washington State University, their vineyard site at Lake Roosevelt Shores, behind Grand Coulee Dam, was prepped for planting. Spring of 1994, the vineyard was planted, re-introducing grape vines to the area. 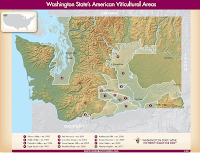 1996 marked the first harvest, their grapes were purchased by several Walla Walla wineries. In 2001, Walter and Judy started making wine themselves with their Estate Merlot grapes. The following year the winery produced wine from all three of their grape varietals. All of the grapes used in their wines come exclusively from the Lake Roosevelt Shores Vineyard. Since 2005, Whitestone Estate fruit is harvested exclusively for Whitestone Estate Wines. Location: 60 miles west of Spokane, 29 miles behind Grand Coulee Dam. Acres in Production: 5 acres Merlot, 5 acres Cabernet Sauvignon, 6 acres Cabernet Franc. * Favorite: 2008 Cabernet Franc - 100% Cabernet Franc, very good, like, tasty, med finish. Good. ABV 13.8%, retail price $27. 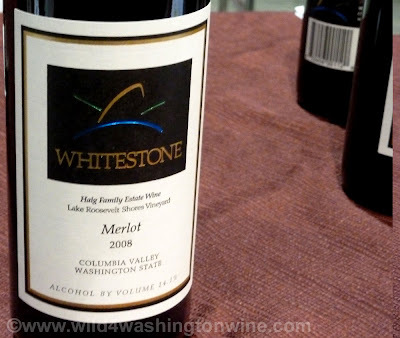 * Favorite: 2008 Merlot - Good nose, 100% Merlot, very good, retail price $27 not over top. ABV 14.1%, retail price $27. 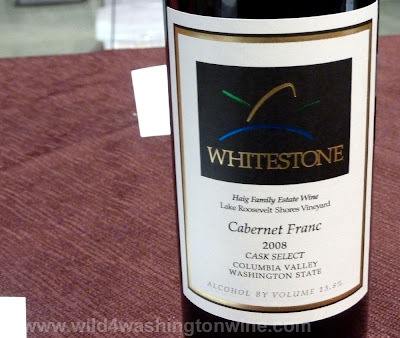 2008 Cabernet Sauvignon - Like the nose, tastes like a Cabernet, balanced, not over top, light. ABV 13.9%, retail price $30. Recommended. Thursday - Friday, 12:00 p.m. - 7:00 p.m. 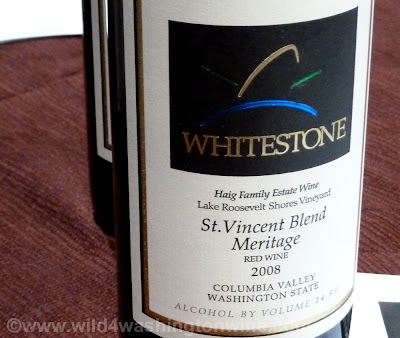 I've tasted the St. Vincent Blend Meritage's red wines. They're really tasty and are great while eating a slab of rare steak. Marshall, yes that's a great wine. Have to find some locally. All the best. Cheers!